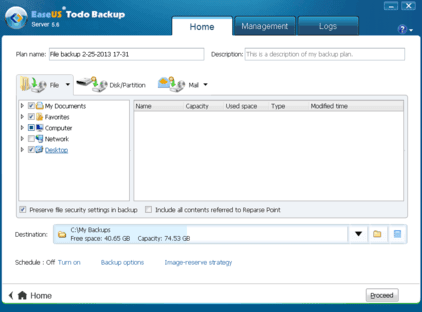 EaseUS Todo Backup review was on my to do list for a long time, but some how I forgot about it. 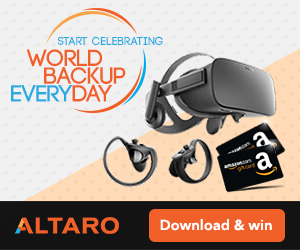 Todo backup is an interesting product. It features the same interface for home, workstation and server editions. You can imagine that if interface is the same for home users, that it’s not something you would need a manual in order to use it. It’s one of the most simple interfaces I came across for a long time. But don’t think that simple interface can’t do complex things. 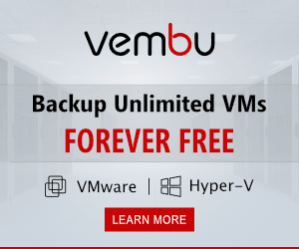 Is EaseUS Todo Backup alternative to established backup vendors? Every one who manages Windows servers / workstations faced a question, how to backup the server/workstation? There are many options, some are reliable some are not. You may have performance issues with some, and with some you won’t notice you have backup running at all. With some solutions restore is working like a charm, with some you may have a lot of problems. And last but not least, price, some are very expensive it may even exceed your IT budget, and some are affordable. I had a case where I had to backup couple of workstations and couple of servers – on the cheap. Requirements were Image backup, bare metal restore to dissimilar hardware, good price, easy to use, reliable. Major players in this field are Acronis, Symantec, Paragon, Storage craft. All have one thing in common, they cost a lot. 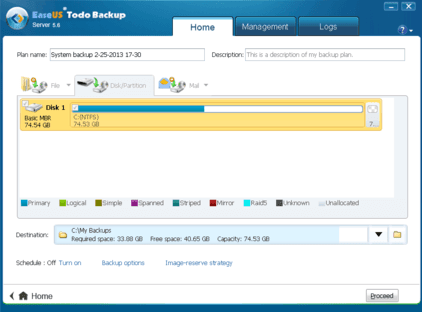 After a lot of searching I found a really nice piece of software EaseUS Backup. There are versions for workstation and server, they look a like. In my case I opted for workstation and Server versions. file backup, mail backup. Differential and Incremental type work also for Image. You can also backup network shares. Windows 7, Server 2003, Server 2008 R2. on all of them. Wow. Did not expect that. you will need to have drivers of target computer. to show path to drivers. Then it’s just a matter of restarting WinPE to be back at your old server. order to boot to WinPE enviroment on the new computer and do Restore to dissimilar hardware. In addition, there are additional features you may use. One of many is an P2V option – convert backup image of physical computer to Vmware or Virtual PC. Should you need to restore files from partition or system image, you can mount image and browse for files. Users of GPT partitions will be happy to know that they are supported. and manage all servers/workstations from central place. One of the benefits of EaseUS Todo Backup, workstation or server version is price, which is really affordable. But one thing to note, If new major version gets released you are not entitled to upgrade. You will have to buy it again. Price will be discounted, but still, you are only entitled to a point upgrade if it’s released shortly after your purchase. 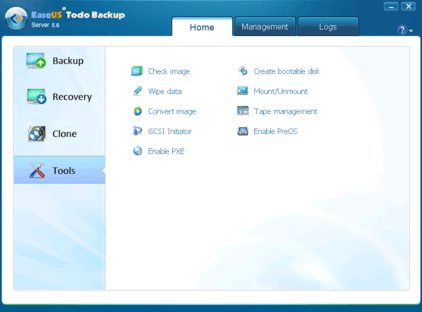 In addition you can get from 20% – 40% discount for EaseUS Todo Backup based on the volume. You can check all of the features here on a product website. 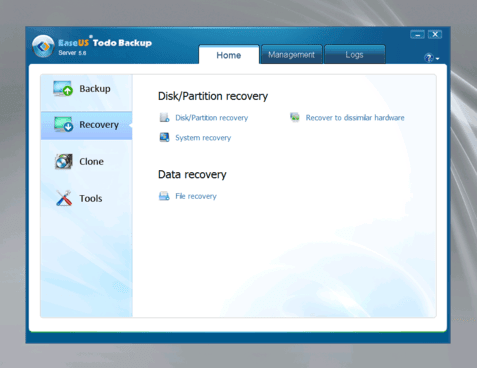 You may like Easeus TODO backup but it is not really less expensive. I have been buying Paragon for about $9 less. Acronis has been on sale at many sites for less than $20 though I prefer Paragon or Easeus over Acronis. Well, that may be, but if you compare official prices, EaseUS is cheaper. where you get good prices?